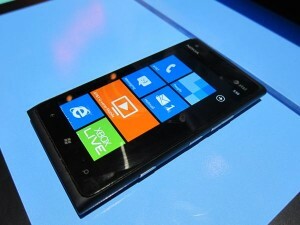 One of the already known best features of the new Nokia Lumia 900 Windows Phone is the 4.3″ AMOLED screen with ClearBlack display. For many who have gotten their hands on the device already, it is one of their favorite experiences. However, the folks over at CNET wanted to find out what makes the Lumia 900 screen look so gorgeous and pop so well with colors. Raymond Soneira, president of DisplayMate Technologies, narrowed down the true source of the amazing Lumia 900 screen down to the reflectance. As easily exemplified by CNET, if you can pick your teeth while looking at the screen of your mobile device, it definitely has a high rate of light reflectance. Of course, that may come in handy when you need a quick mirror, but most of the time that high rate of reflectance will make it seem like your phone is turned off when outdoors in the sun, or in strong ambient light. Another reason high rate of reflectance is not desirable: your reflection actually degrades the sharpness and color quality you see on the screen, same applies to ambient light. Now that we have gone through the basics of reflectance, onto the good stuff. Soneira closely analyzed the ClearBlack technology used in the Lumia 900, and discovered that the magic is done with circularly polarized glare-suppressing optics. ClearBlack technology is definitely something we will look out for on our future devices, it can really make a difference on a sunny day outside with no shade available. It’s incredible the difference it makes, thank you Nokia.